CURRENTLY READING Greatist Is Looking for Awesome People Like You to Join Our Team! Greatist is growing and we’re looking for a sharp, super motivated associate editor to join our awesome creative team. The ideal candidate should be obsessed with being the first to know about all the latest health and fitness news and trends — and love sharing them with their social network. At least 2 years of experience in digital media required. Continue to hone and optimize Greatist’s approach to news and trending topics in a way that nurtures and supports the brand’s vision. Greatist is looking for an amazing community manager who'll be interacting with over 500K greatists each day. We're looking for someone who's sharp, super friendly, and extremely organized. 2-3 year experience in community management required. Greatist was recently named one of the 15 Best Startups to Work For in America (Business Insider, VentureBeat) — and we want you to help share what makes us so special with our awesome community. Greatist is looking for an unstoppable idea generator who knows how to create and package extremely high-quality digital content like a pro. Our full-time, in-house senior editor will be able to juggle multiple projects and deadlines and edit copy at a fast pace while maintaining the Greatist quality and voice. Must be passionate about health and fitness and crazy excited about the opportunity to help people change the way they think about it. At least 4-5 years of experience in digital media required. Greatist is seeking an experienced Drupal developer who is excited about helping build new media products, modules, and scalable architectures. We’re on a mission to change how people think and talk about their health, fitness, and happiness and we need someone that can help make this journey a seamless, responsive, and efficient one. Our site is the most respected destination for health, fitness, and wellness information on the Internet (reaching over four million monthly visitors) and we are looking to deepen this trust with beautifully innovative and interactive content supported by the fastest and most scalable backend in the industry. Greatist was recently named one of the 15 Best Startups to Work For in America (Business Insider, VentureBeat) — and we want you to help continue that culture. This job is based in our NYC office and offers a competitive compensation with potential stock options. You love PHP and have at least 3 years of Drupal programming experience. You have real-world experience shipping code and you want your work to be used by over 4 million people every month. You have built Drupal sites and have been involved in maintaining or building Drupal modules and/or themes. You are talented in MySQL database design and writing MySQL efficient queries. You dream about building high-uptime scalable architecture. You’ll be responsible for creating innovative and interactive interfaces that bring content, data, and design to life. You will work on your own projects or in tandem with our front-end developers in an incredibly supportive environment as you build and maintain new backend features and optimizations. We are a small team that deploys new features quickly, but we know when to slow down and make sure we’ve got it right. Given our size, everyone has massive responsibilities and high visibility in the company. We’re looking for people who work well in teams (and don’t need micromanagement), generate their own ideas for products, features or enhancements, and are overwhelmingly curious and dedicated to learning. Experience developing mobile-first products or building mobile-optimized websites maintained in parallel. Experience with front-end templating syntaxes like mustache/handlebar. Interested? (Yes.) Visit our careers page to apply! 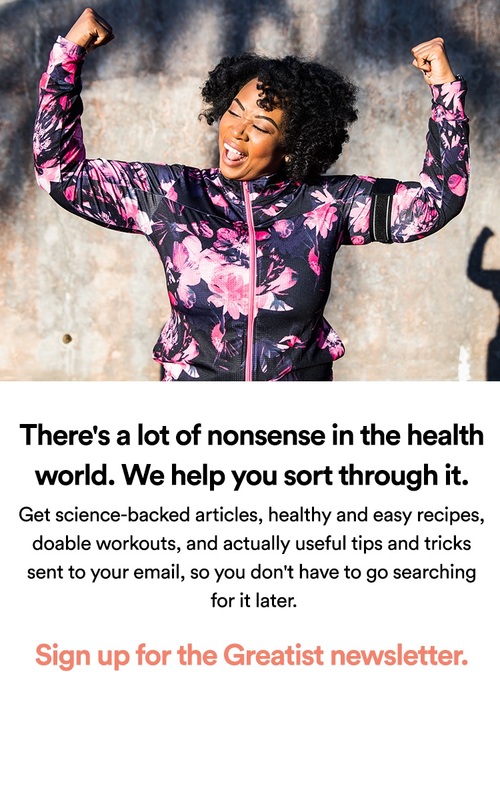 Greatist is a health and wellness media startup on a mission to make better choices easier for everyone. Launched in 2011, it's now the fastest-growing site in the health space with more than 4 million uniques every month. It's becoming the first truly trusted healthy living brand and business. This is a paid, full-time position at Greatist HQ in Manhattan with a competitive salary. 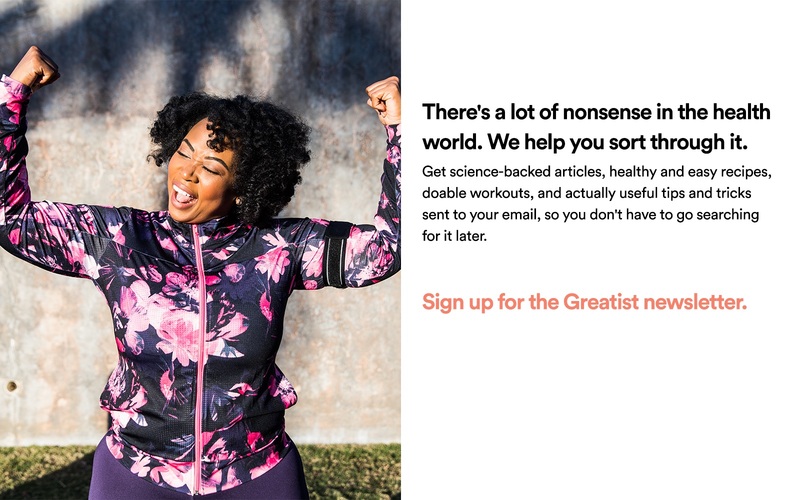 Greatist also provides gym memberships, daily lunch fixins’, and healthy snacks along with enormously flexible work hours, an open vacation policy, monthly metro reimbursement and awesome weekly health and fitness team activities (not to mention happy hours). We were even recently named one of The 15 Best Startups to Work For in America!